Energy drinks have been labeled a dietary supplement within the marketplace and considered to be the highest in increasing consumer penetration. It is estimated that the US sales of energy drinks reached $21.5 billion in 2017. The standard energy drink with 100-200 mg of caffeine is not the major concern. The concern lies with products that contain high levels of caffeine alongside multiple stimulants. Many products are combining caffeine with stimulants such as Guarana Seed, Yohimbe, and Yerba Mate. Combining high levels of caffeine with other stimulants may cause an electrical disturbance that can lead to a life threating arrhythmia (i.e. heart palpitations). As we’ve seen in several cases in teens and adults, it could lead to cardiac arrest and eventually death. While energy drink ingredients such as caffeine have been widely studied, other ingredients haven’t and manufacturers are using mainly anecdotal evidence as justification of their use in their products. 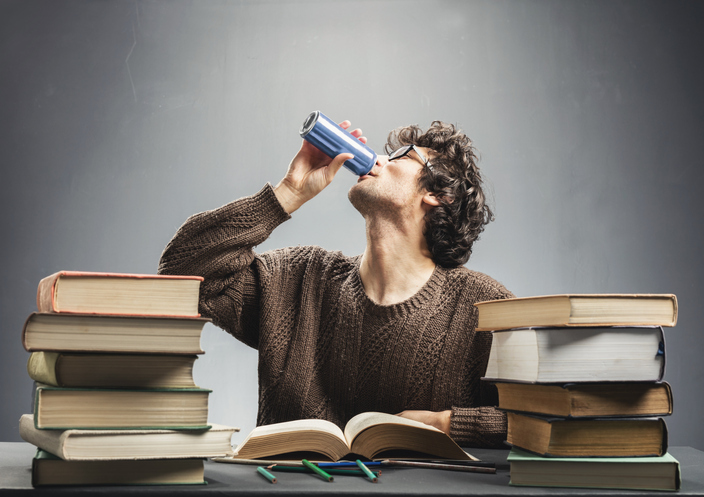 Consumers should be aware of the ingredients contained in energy drinks and make educated decisions whether or not these beverages are the best choice for their bodies, especially when trying to fuel an all-night study marathon.